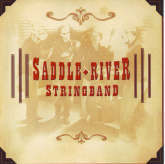 Saddle River Stringband consists of four well seasoned rock and blues musicians who decided to form a bluegrass group with a more lively sound and lots of original songs.The band performs in Atlantic Canada, has been featured on national radio and are also studio musicians having recorded with numerous artists. Born and raised in a small Acadian village in Nova Scotia, Canada, Yvette was brought up in a rich musical family. 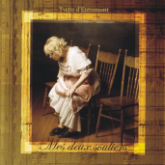 Her father, renowned pianist-composer Paul Saulnier and her mother, who would sing her lullabies and teach her Acadian folksongs, provided Yvette with a music-filled environment that would shape, influence, and inspire Yvette to fulfill her dreams as singer, songwriter and recording artist. Yvette's beautiful songs are always delivered with her soulful and moving performances. She sings about life, love, family and the sea. 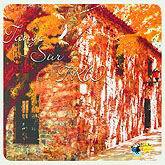 In addition to Yvette's original songs, her interpretations of Acadian francophone folk songs help enormously to preserve this early North American culture and introduce it to new generations as well. In addition to several musicals she has directed, Yvette has performed on Canadian TV and radio. Yvette has received numerous awards as a songwriter and recently was nominated for an award by the East Coast Music Association.